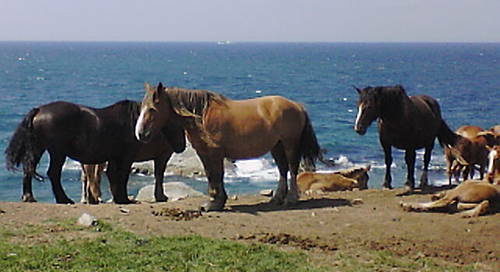 The Taishuh or Taishu horse comes from the Tsu (or Tsushima) Islands in western Japan and they are an ancient breed thought to date back to the 8th century. Although they are old, they are very rare and have been a protected breed since 1979. 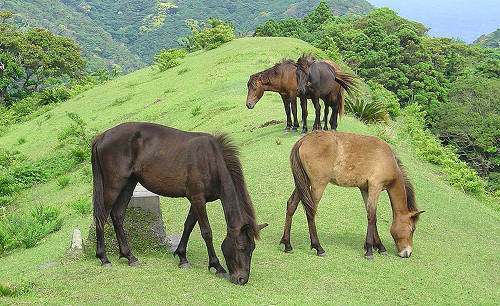 Also called the Tokara Kyusu, Kagoshima, Kuyshu & Miyazki the Tokara pony comes from the Tokara Islands in Japan. 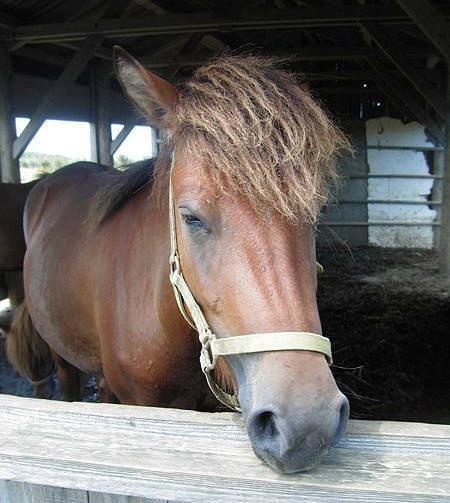 The Noma Horse comes fro Noma County in the Aichi Prefecture of Japan, they are the smallest pony native to the Japanese Islands. 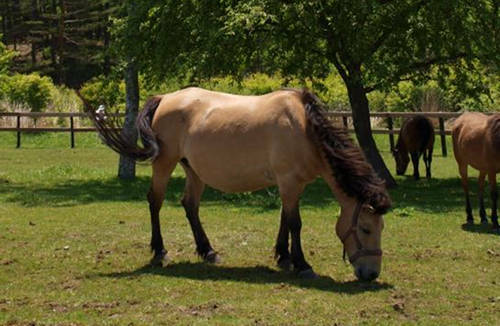 The Nambu Horse comes from Iwate, Japan and is bred by the local people there. These animals are traditionally important to the community and were used for ceremonies, agricultural work & as war mounts for Samurai warriors. 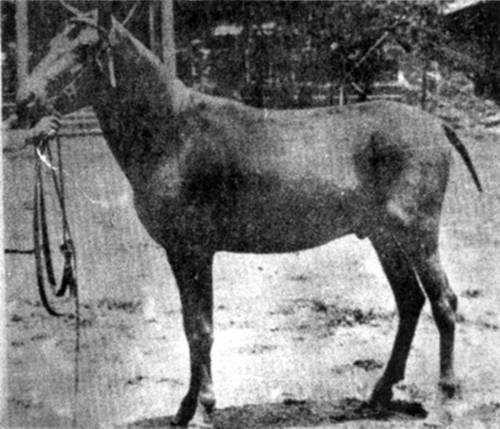 The Miyaoko Pony comes from Miyaoko Island in Okinawa Prefecture in Japan, an area that has been known for their horseflesh for centuries. 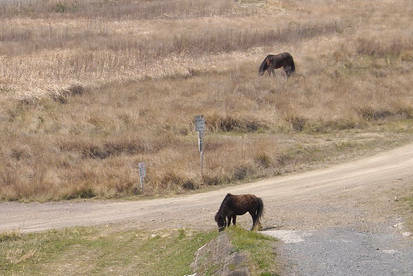 Small ponies have roamed the island for years bearing a striking resemblance to their Mongolian ancestors. 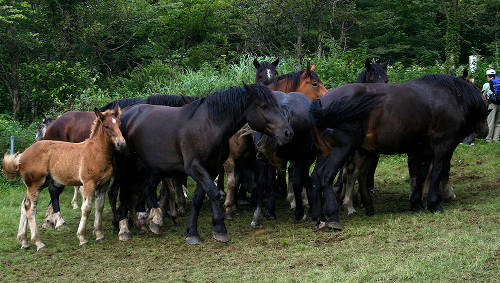 The Misaki Pony comes from the Mayazaki Province in Japan where they still run wild in Cape Toi meadow. The Kiso Horse has been in Japan for over a millennia and in the past was an indispensable aide to the people for agriculture & transportation. Their name comes from the Kiso river that runs through the area where they originated. Also called the Kandachi & Handachine Horse, the Kandachime is a Japanese draft breed that comes from the region of Aomori. They come from a cross between local horses and the blood of Anglo-Arabians, Arabians, Hackney and draft blood like the Belgian & Breton.